Oxford Florida Water Color Residences, by Oxford Group, presents an array of 2 BHK and 3 BHK new launch flats in Keshavnagar, Pune. Comprised of 2 towers, 14 floors and 108 units, the 2 acres project Oxford Florida Water Color Residences is all set to give you the best worth for your money. 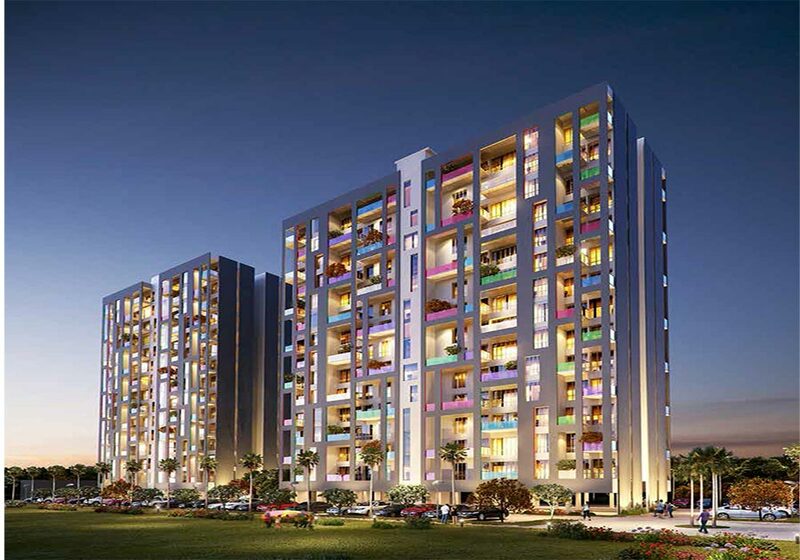 Perfectly crafted to rig out a quality lifestyle, the project layout has attracted a number of people from every nook and corner, thereby making itself one of the most sought-after properties in Keshavnagar, Pune. Open parking, internal roads and footpaths, street lighting, landscaped gardens, fire fighting system, gymnasium, children’s play area, lift etc. are some of the best amenities offered in Oxford Florida Water Color Residences. You will also find a number of schools, ATMs, shopping centres, cafes, restaurants, supermarkets located in the close proximity of Oxford Florida Water Color Residences which has imparted even a distinct tint to the project layout.